Marking the 70th anniversary of the Fulbright Program, the United States is pleased to announce a new Fulbright public-private partnership between the Smithsonian Institution and the U.S.-UK Fulbright Commission. This new partnership will support a Fulbright award for scholars in the area of human health and well-being. We also warmly welcome the UK’s announcement of an increase from £600,000 to £1,000,000 to Fulbright. This is more than a $500,000 increase, and provides near parity of contributions to the program from our two governments. 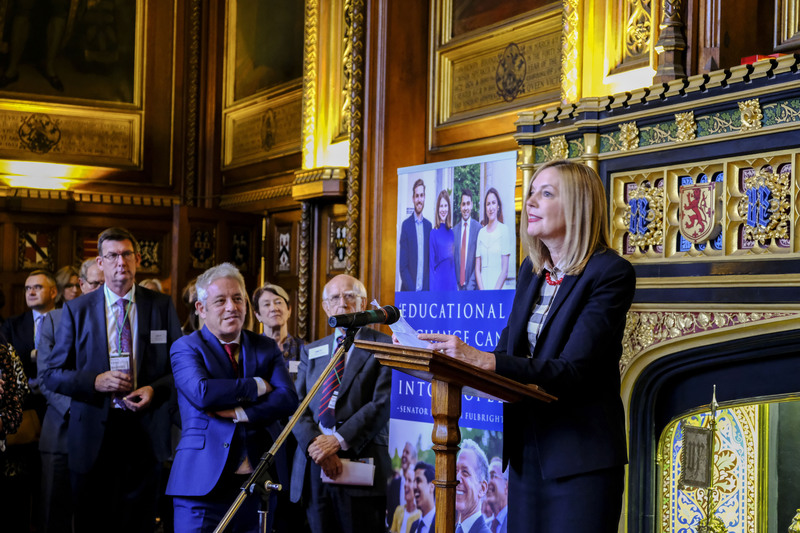 The education community and private sector in both the U.S. and UK also provide significant support for American and British Fulbright grantees. We look forward to the continued success of the U.S.-UK Fulbright relationship in the years to come. The Fulbright Program is the premiere U.S. academic exchange program with students and scholars participating from 160 countries. For more visit: fulbright.state.gov.